SOLD OUT! CountDown 2 and 6…sale continues for a few more days on remaining models. Thank you all again for the support. The 6 sold out last week and now the 2 today. They are both history for 12/13. Literally we only have 1 pair for demo left this season on the 2 and 6. 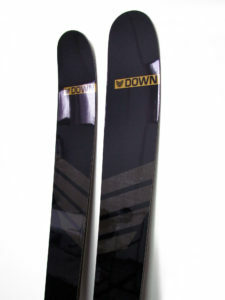 These models will come back for 13/14 with updated layups and a new rocker profile so please join out mailing list or contact me personally anytime (gregor (at) downskis.com with questions. Being on our mailing list will also ensure you are updated on our pre-sale in late Summer to get the best prices of the year. On a side the 7 has been a big hit and we have a few pairs left (like maybe 2) so drop us an email with questions about this model that is limited series for 12/13 and will be in our pre-sale for 13/14.